Three Rivers Press, 9780307238078, 272pp. What is it really like to be an only child? In this insightful and entertaining collection, writers including Judith Thurman, Kathryn Harrison, John Hodgman, and Peter Ho Davies reflect on a lifetime of being an only. They describe what it’s like to be an only child of divorce, an only because of the death of a sibling, an only who reveled in it, or an only who didn’t. As adults searching for partners, they are faced with the unique challenge of trying to turn their family units of three into units of four, and as they watch their parents age, they come face-to-face with the onus of being their families’ sole historians. 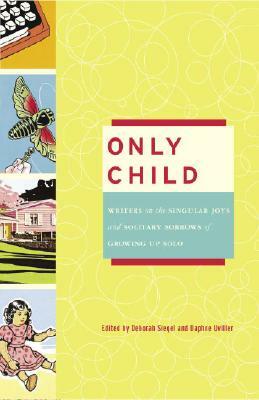 Whether you’re an only child, the partner or spouse of an only, a parent pondering whether to stop at one, or a curious sibling, Only Child offers a look behind the scenes and into the hearts of twenty-one smart and sensitive writers as they reveal the truth about growing up–and being a grown-up–solo. DEBORAH SIEGEL is the author of Sisterhood, Interrupted: From Radical Women to Grrls Gone Wild. She has written for Psychology Today and The Progressive and is a founding editor of The Scholar & Feminist Online. DAPHNE UVILLER is a former editor and current contributing writer to Time Out New York. She has been published in the Washington Post, the New York Times, Newsday, The Forward, Allure, and Self. Both editors are only children.